In addition to pictures previously posted, kindly find some more! If you have interesting pics, please post them or send them to me. In due cause, we’ll be uploading some video/audio recordings; especially of the talk by Rev Tony Akinyemi, dealing with critically-useful insightful suggestions for personal actions. We are grateful to Rev Tony Akinyemi who forwarded this message on Thimerosal in Vaccines to us. 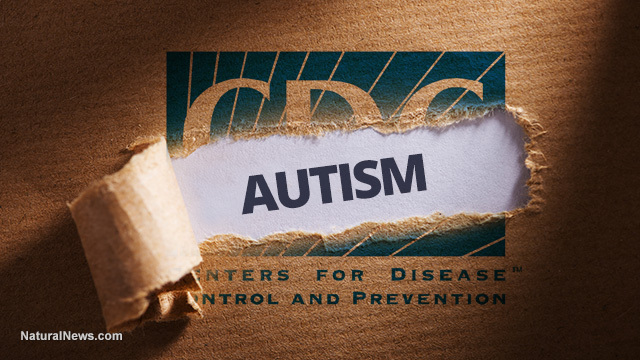 Remember this very thimerosal is still in many vaccines injected into our precious babies in Nigeria – though the practice has been proscribed in the US since 2001 and all the ongoing hullaballoo is a kind clean-up of past uses. 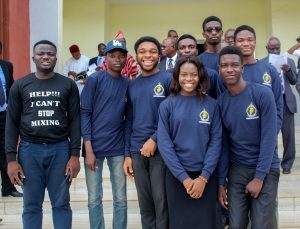 HELD AT THE REDEEMER’S UNIVERSITY, EDE, OSUN STATE. 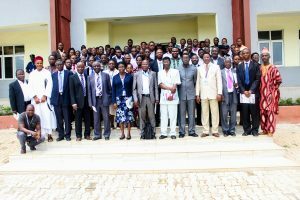 The first National Conference on Environment and Health organized by the LivingScience Foundation, Ile-Ife held at the Redeemer’s University, Ede between 17th-18th May, 2016. The theme was: Prevention is better than Cure. The main objective of the Conference was to bring together relevant stakeholders from various sectors of the Nigerian society to discuss peculiar environmental health hazards in Nigeria, and brainstorm on customized solutions that would enable sustainable development via appropriate balancing of the Environment, Economy and Social dimensions in the country. 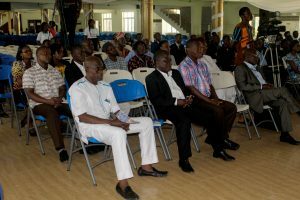 The Conference activities comprised of Special Addresses, Special Lectures, a Symposium, and four Technical (two Plenary and two Parallel) Sessions. 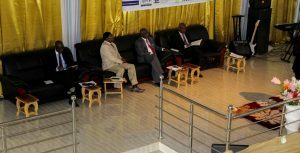 In all, the Conference featured 12 Lead speakers and over 100 other participants. 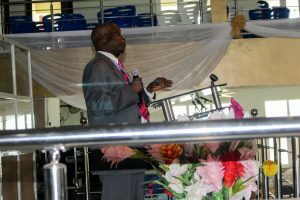 The keynote address by Dr Lawrence Anukam (DG NESREA) was delivered by Mr Adeleke Ajani (SW Zonal Director, NESREA). The Lead plenary speakers included: Ambassador Ayo Olukanni (retired Ambassador of Nigeria to Australia and the Pacifics, and Vice President of Fight Against Desert Encroachment, FADE), Prof Francis Bode Asubiojo (Professor of Chemistry at Obafemi Awolowo University, Ile-Ife and Afe Babalola University, Ado-Ekiti), Rev Tony Akinyemi (Founder of Rapha Healthy Living Institute, and the Senior Pastor of The Shepherd’s Flock, Ikeja), Prof Duro Oyedele (Professor of Soil Science and Land Resources Management at the OAU, Ile-Ife), Prof Joshua Ojo (Professor of Health Physics and Environment at the OAU, Ile-Ife, and the Redeemer’s University, Ede), and Mr Ahmad Shukwunweizu Maike (Osun State Coordinator, NESREA). 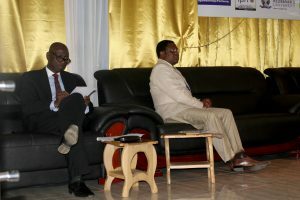 Speakers at the Symposium included Prof Olayinka Ogunkoya (Professor of Geography), Prof Fatai Balogun (Professor of Medical and Health Physics), Prof A. Onayade (Professor of Community Medicine), Mr Taiwo Oki (Senior Chemist at a Paint Manufacturing Industry), and Dr John Ayoola (Chartered Accountant and Lecturer in Management and Accounting). 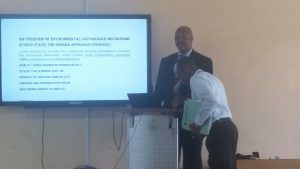 What major factors accounted for the deep favourable impressions most participants had concerning the just-concluded National Conference on Environment and Health? Of course the quality of the speakers, coming from diverse fields of expertise, is deeply touching and impacting. So also are the world-class facilities provided by the Redeemer’s University. 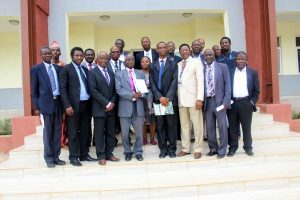 Many participants did not believe there is a Nigerian University where virtually any one of the classrooms can be used as a standard conference hall, on account of the available facilities. Down to the menu for light refreshment/tea breaks, RUN certainly deserves very high grades for her co-hosting of the Conference. But I think probably the most important reason for our positive impressions on the Conference, even if not so easily identifiable as such, is the subject matter. Not only do we all intimately identify with the subject matter, virtually every one of us has something significant to learn and take home from the meeting. For all my familiarity with the subject of peculiar environmental hazards in Nigeria, I was learning of the problem of benzene from indiscriminately-sited petrol stations for the first time. 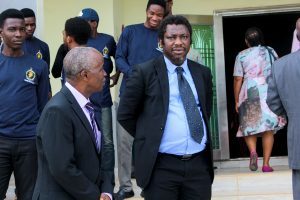 (Ok, Prof Ogunkoya actually briefed me on the problem earlier while we planned the Conference, but nevertheless the new information was thought-provoking). 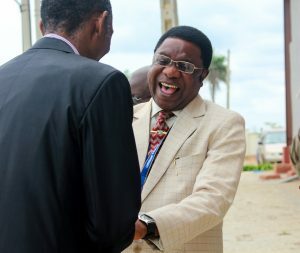 Similarly, at least one of my teachers and a revered leader in environmental-health studies in Nigeria was simply not aware that ethyl-mercury is deliberately added to many vaccines being administered to our children in Nigeria – contrary to the situation in the developed countries where these vaccines are produced, solely for us! The best summary of this situation however, in my opinion, was the open confession of that eminent Professor of Chemistry (and practising small-scale farmer), who during one of the discussion sessions, expressed his unawareness that many of the popular products he has joined others in indiscriminately using as weed-killers, pesticides, etc are known to have serious consequences for environment and health. As we all joined him in lamenting, if these chemicals are so toxic and actually proscribed, how come they are everywhere on the market and are being freely used by virtually everybody in the country? Such enlightenment, I believe, is the major reason responsible for the peculiar refreshment most of us got participating at the Conference. Yet, millions of our compatriots out there are still totally ignorant of these issues. And these are issues that must be communicated to the masses before any of us can heave any sigh of relief. For instance, I derive very little benefits, if any, from my refusal to use proscribed toxic herbicides in my compound, as long as my neighbours continue to copiously use these! And that GSM mast might even be more hazardous to me sited in my neighbour’s yard than mine – depending on a number of issues including topography, antenna direction, etc, (including economic compensation!) Clearly, the issues discussed at the conference can be described only as the tip of the iceberg. It is extremely heart-warming therefore seeing the enthusiasm of the management of NTA Osogbo to the entire enterprise, and their commitment to enlightening the public appropriately. 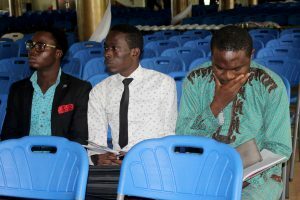 As many of us are by now aware, the conference was featured in news items, not only at the level of the Ibadan SW Zone of the NTA, but also on the Network Nationwide News programme on Thursday 19th May – where we were given 1:43 minutes (see here). We have furthermore been assured that arrangements have been concluded to use even larger portions of our videos on the NTA Network Progamme on Environment in the days to come. 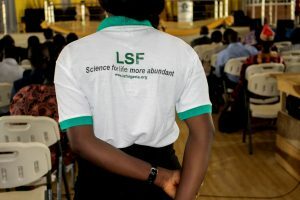 Spurred on by the NTA, the LivingScience Foundation has decided to buy in, into a weekly grassroot-focused programme on environment and health. Tentatively, it is to be titled Ayika ati Ilera re (The Environment and Your Health). It will most likely air on Wednesdays, in the evening. Taiwo Adeniyi will be the Producer of the Programme, while Yemi Akintunde will be the Host, interviewing a Panel of discussants to be suggested by the LSF. These will comprise of competent authorities from government, industry, academia, and the affected general public. I will be providing the bulk of the technical details and scripts. The big challenge is funding. Even with the unusual generous discount from the NTA (on account of the importance of the subject matter to the general public), we are still faced with a bill of nearly N300,000 per quarter of 13 episodes. 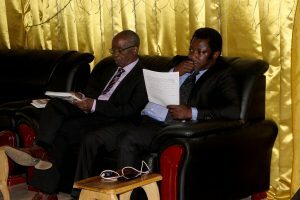 This is huge money for an upcoming Organization like the LSF, but it is actually “chikini money” (quite cheap) considering the objectives we are set to achieve – and by God’s grace, they are quite achievable. After each programme in Yoruba language, the Environment correspondent will also conduct quick interviews in English with the members of the Panel, which will be sent for possible use on the NTA Network service. 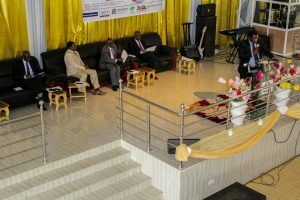 In this way, we envisage being able to drive national discourse in a short while, as we are able, by God’s grace, to consistently feature qualitative in-depth treatments of relevant issues – just as happened at the just-concluded Conference. Please consider again the significance of this upcoming development. For the very first time in Nigeria, we private citizens are freely taking the initiatives for our own environment and health, free of coercions, manipulations, or dictations from any quarter, local or foreign. In a compelling business-like manner, we are challenging the government to arise and take necessary actions. (By the way, I’m glad to report that the Federal Ministry of Environment, absent from our Conference, later called to apologize for the absence and request for the Communique). What is now needed is the critical take-off funding, for a programme that promises to be self-sustaining in a short while. So, if yours or any other organization you are acquainted with, will be willing to either outrightly co-sponsor the Ayika ati Ilera Re programme, or alternatively advertise in it consistently for at least one quarter, kindly contact me as soon as possible on 0805 710 6482. If the NTA has its way, the programme could be starting next Wednesday! Private or public businesses and organizations, (those dealing in products not inimical to the environment and public health) should simply consider including the TV programme as a platform for their regular advertisement, and everybody is a winner. Please think on it, and kindly act! The first Natio nal Conference on Environment and Health organized by the LivingScience Foundation May 17-18 was featured on National television on Thursday May 19. 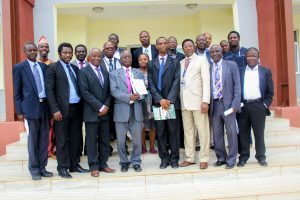 The report featured interviews with Prof Kayode Ijadunola, Director Institute of Public Health, OAU, Ile-Ife, Prof Kayode Adekeye, Deputy Vice Chancellor, Redeemer’s University, Ede, and Mr Adeleke Ajani, the SW Zonal Director of NESREA. 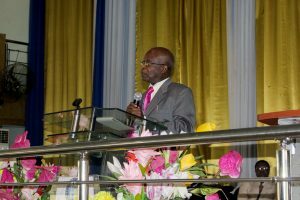 It also featured clips of speakers at both the Symposium and the Plenary lectures by Ambassador Ayo Olukanni and Prof Bode Asubiojo.